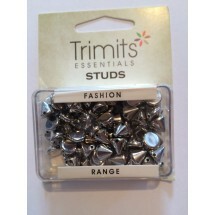 Fashion Studs	There are 10 products. 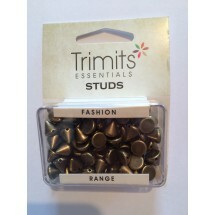 1 Pack of Sew on Studs - Brass 8mm. 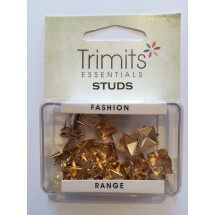 80 units in pack. 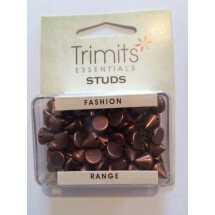 1 Pack of Sew on Studs - Copper 8mm. 80 units in pack. 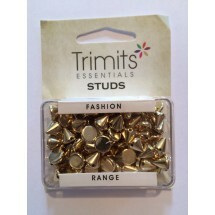 1 Pack of Sew on Studs - Gold 8mm. 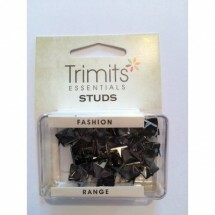 80 units in pack. 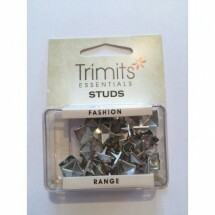 1 Pack of Sew on Studs - Gunmetal 8mm. 80 units in pack. 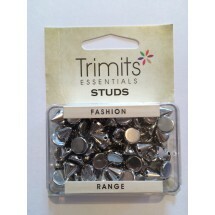 1 Pack of Sew on Studs - Silver 8mm. 80 units in pack. 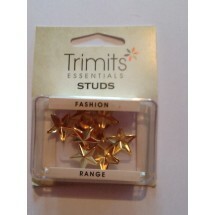 1 Pack of Star Claws Studs - Gold 16mm. 12 units in pack. 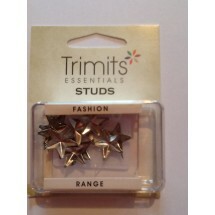 1 Pack of Star Claws Studs â€“ Silver 16mm. 12 units in pack.